In honour of the passing of my beautiful beard today, I've decided to review this beer that I had earlier in the week. It's fair to say that the story behind this beer is going to turn a large number of people off it before they even buy it; but not me. 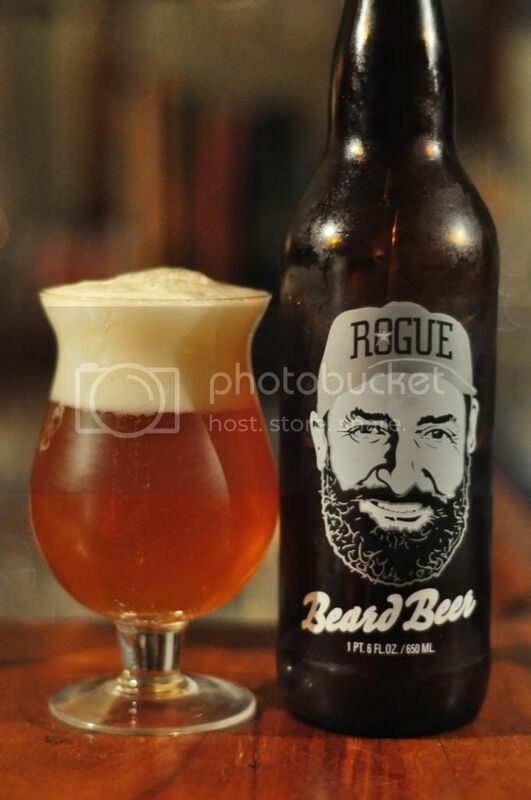 Rogue's Beard Beer utilizes one of the fundamental ingredients in of beer; yeast, but it's the way in which they acquired the yeast which may put some off. Their BrewMaster has had the same beard since 1983 and subsequently it's caught a lot of yeast across his brewing. You guessed it, they then used the yeast they found for this beer. Enough talking let's review it. Firstly the appearance of the beer is pretty normal for an American Wild Ale. This was to be as expected though as yeast rarely affects a beers appearance. There is a 4 and a half finger head of cream coloured foam on top of a deep orange body. There appears to be quite a lot of carbonation and this helps with the impressive head retention. It should go unsaid but I'll put it here anyway, I'm treating this beer like any other and ignoring that the yeast has come from the brewers beard. There's plenty of citrus zest on the nose with plenty of spices, particularly cloves are prominent. There's some cinnamon, pepper and vanilla as well. Bit of earthy yeast and some herbal hops at the end, it's got a really complex nose and is very nice. The flavour is not particularly reminiscent of a Wild Ale. 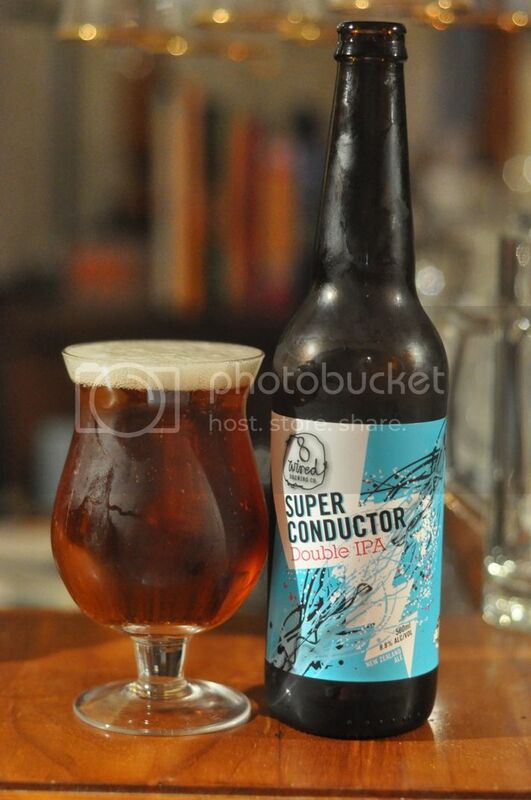 It's quite light with lemon zest to the fore with sweet caramel malts also relatively forward. There's banana and clove elements that lend this to being having a witbier feel. The relative lack of sour character also leads me to think that this isn't a true example of a Wild Ale. But considering the relative unknown quantity of the yeast strain, I suppose it could be what this beer would naturally have come to be and so am not too unhappy about the Wild Ale classification. Due to the novelty factor of this beer I think it will sell a lot as either presents or as a bit of a joke. People should definitely come back and buy more of it though as Rogue Beard Beer is actually a very nice, easy drinking beer. This review took an inordinate amount of time to write and I still don't really like the wording, but what can you do... Hopefully the next one will follow a little better.